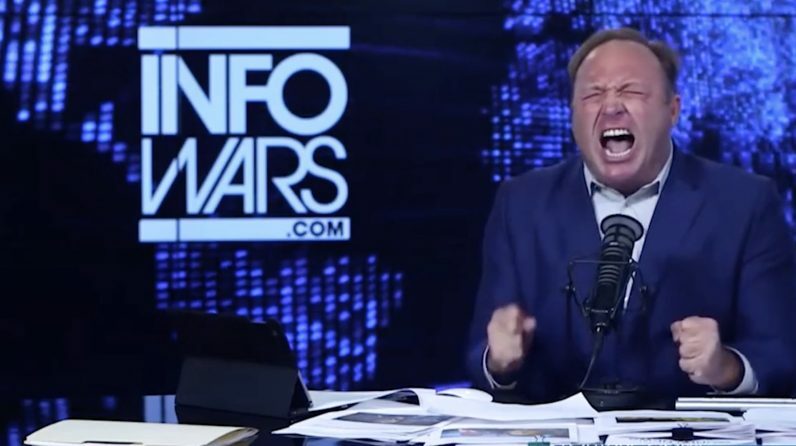 Infowars is best known as the fake news platform used by beetroot-red nutjob Alex Jones to spout wild conspiracies and defame grieving parents. But did you also know it boasts an online store where you can buy vitamins, “neutraceuticals,” and garish right-wing t-shirts? I mention the retail bit because, according to ZDNet and Dutch security researcher, Willem de Groot, it was recently the site of a particularly nasty Magecart infection, which hoovered up the details of roughly 1,600 customers. Magecart is a strain of malware that targets online retail platforms. It works by silently recording the payment card details submitted by users, and then sending them to a remote server, where they can be used for credit card fraud, or sold on to other criminals on the black market. According to de Groot, the malware was concealed within a block of Google Analytics code, and was live for just 24 hours before it was removed. The malware was present on every Infowars store page, but only activated itself on the site’s checkout pages. According to ZDNet, the code scraped all content found inside the checkout forms every 1.5 seconds, before transmitting it to a remote server located in Lithuania. According to Jones, Infowars is warning customers to be vigilant about unauthorized payments on their cards. The company also believes the true number of affected users may be lower than 1,600, due to some people re-ordering items during the same time period. A (truly batshit insane) statement provided to ZDNet by Alex Jones called the hack an “act of industrial and political sabotage,” and said that it was “probably carried out by leftist stay behind networks (sic) hiding inside US intelligence agencies.” For your amusement, I’ve copied the full text below. This criminal hack is an act of industrial and political sabotage. The corporate press is claiming that a Magento plugin to the shopping cart was the point of entry, but that is not true. Infowarsstore.com has never installed that plugin. We use some of the top internet security companies in the nation and they have reported to us that this is a zero-day hack probably carried out by leftist stay behind networks hiding inside US intelligence agencies. Magento’s top security people have done a site-wide scan and found no security vulnerabilities. And we believe security features we will not mention, appear to have blocked them from getting anyone’s credit card numbers. Only 1600 customers may have been affected. Most of those were re-orders so their information would not be accessible. Nevertheless, our customer-supporter base is being contacted so they can watch for any unusual charges to their account and rectify them. Bottom line: this latest action is a concerted effort to de-platform Infowars by big tech, the communist Chinese, and the Democratic party who have been publicly working and lobbying to wipe Infowars from the face of the earth. In summation, America is under attack by globalist forces and anyone standing up for our republic will be attacked mercilessly by the corporate press, Antifa and rogue intelligence operatives. Infowars will never surrender! That said, I do wonder if we can take Jones at his word. How do we know this isn’t, for example, a false flag attack perpetrated by Jones himself? Or perhaps an inside job carried out by one of his own employees? Or maybe if was the frogs. The gay frogs! The ones that huffed a bunch of chemtrails and now forsake the other gender. Maybe a cabal of elitist leftist gay frogs, funded by George Soros, learned to code and hacked Jones’ site in order to further the New World Order agenda. As the saying goes, all’s fair in love and infowar.